STARTUPS.CH helps you to found your own company easily, efficiently and conveniently. Calculate an offer and found your company online. Select the legal form below and the nature of the startup's deposit. Found a limited liability company (GmbH) with a minimum capital of CHF 20'000. -. For a GmbH you may deposit either cash or non-cash to get the company started. The GmbH is a company with its own legal form in which at least one person or more people or companies merge. The share capital has to be determined before founding the company. Each partner has to participate in the initial deposit of the founding capital and is only liable for this amount as well. Sole enterprises usually are trading, manufacturing or other commercial unincorporated enterprises. Many new entrepreneurs starting a company by themselves use this legal status: any person may at any time start up a company on his or her own and start working. There is no specific start-up capital needed. However, the owner of the sole enterprise is liable with his or her private assets. Later on one can change from being a sole enterprise to being a corporation (GmbH or AG). Also sole enterprises are easier to liquidate than all other legal forms. Withdrawal of pension funds:when founding a sole enterprise the owner is eligible to withdraw pension funds (BVG) for necessary company investments. With a minimum capital of CHF 100,000 you can found a stock company (AG). At least CHF 50,000 must be paid in until incorporation. You can found a stock company with cash or non-cash deposits. The AG is a common and important company form in Switzerland. It is often chosen as the legal form of foreign subsidiaries. The AG is its own legal entity and only the company’s assets can be made liable. The share capital is determined prior to founding the company and also will be divided up into shares before incorporation. The AG is not just a form for big corporations but also for small and middle size firms. The AG is the usual legal form for a holding or financial company. In the company form of general partnership there are two or more people involved that want to have a commercially managed enterprise (OR Art. 552-593). Withdrawal of pension funds:when starting up a business run by general partnership the necessary investment can be withdrawn from the pension fund (BVG). The final price will be displayed at the end of the process. Please choose the service you need. The prices below refer to the documents in German or French. On request, we will be happy to make you an offer for the desired contract in English. Please contact legal@startups.ch for further information. Select the change which you want to perform. For the transformation of a limited liability company into a corporation please contact our headquarters in Winterthur directly by telefon (052 269 30 80) or send an email to info@ startups.ch. Our lawyers team will be here too happy to help. Here you can convert your Sole proprietorship into a corporation (AG or GmbH). 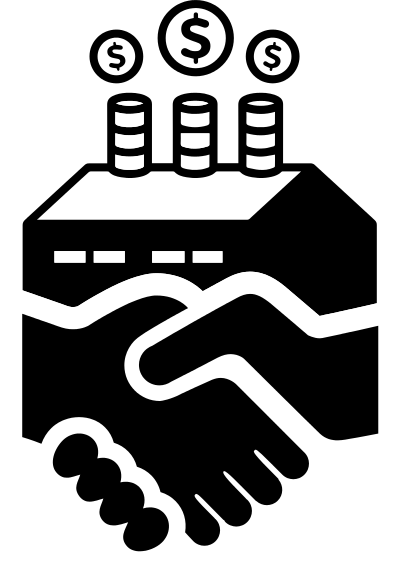 Here you can convert your General partnership into a corporation (AG or GmbH). Here you can convert your LLC into a corporation (AG or GmbH). Here you can convert your Association into a corporation (AG or GmbH). Here you can convert your Cooperative into a corporation (AG or GmbH).